An interview with Santu Mofokeng, Romuald Karmakar and curator Susanne Gaensheimer at the 55th International Art Exhibition (National participation of Germany). This entry was posted in Allgemein, Romuald Karmakar, Santu Mofokeng and tagged Interview, Romuald Karmakar, Santu Mofokeng, Susanne Gaensheimer by bs. Bookmark the permalink. Finish! Last Month german pavillon – only 12 days left! Romuald Kamakar, Anticipation (working title: Waiting for Sandy), installation view the German contribution in the French pavilion Venice 2013, courtesy Pantera Film GmbH. © Roman Mensing in cooperation with Thorsten Arendt, artdoc.de. With compliments: Romuald Karmakar from Venice! Watermusic – A film by Romuald Karmakar (2013) from cinekarmakar on Vimeo. We are pleased to announce the upcoming release of the official publication of the German Pavilion at the Biennale di Venezia 2013! Edited by curator Susanne Gaensheimer, the 240-page, cloth-bound catalogue will be available as of May 28, 2013 and is published by Gestalten, Berlin. 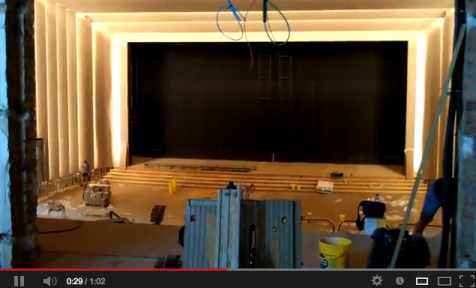 The exitement is rising - it´s only 13 days until the opening of the 55th Biennale di Venezia! 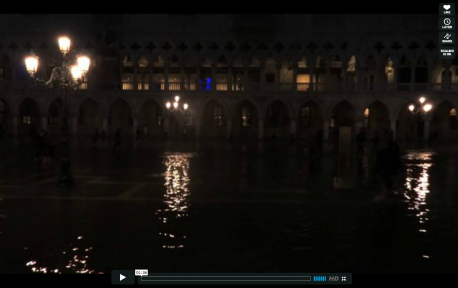 This Mini-Film by Romuald Karmakar gives a taste of Venice and upcoming, great events. The series 19 Clips for 19 Days was published on Cinekarmakar in conjunction with the Karmakar exhibition The Influence of Influence at the Radcliffe Institute of Harvard University in February of this year. An individual minifilm by Romuald Karmakar was thus posted on 19 different days between February 14 and March 12, 2013. THE INFLUENCE OF INFLUENCE (1&2/19): WHAT CHEER? BRIGADE - A Film by Romuald Karmakar (2013) from cinekarmakar on Vimeo. This mini-film by Romuald Karmakar was posted on Cinekarmakar on April 4, 2013. The footage stems from the “Askwith Forum: School Violence in America,” which took place on March 13, 2013 at the Harvard Graduate School of Education, Cambridge, MA. 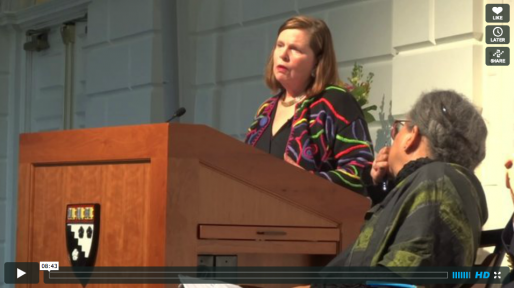 The film shows excerpts of a lecture by Elaine Zimmerman, Executive Director of the Connecticut Commission on Children. After the killing rampage at the Sandy Hook Elementary School in Newtown, CT in December 2012, in which 20 children were murdered, Zimmermann took care of the children who had survived the crime scene and talked with them. She describes her impressions garnered from these conversations in relation to how violence at schools is addressed and American gun policy. Cinekarmakar - "I arrived in Newtown about 20 hours after the shootings …"
Cinekarmakar is the internet platform of filmmaker Romuald Karmakar. The video channel brings together films dealing with the work of the artist and offers insights into Karmakar’s universe. Under the motto “The Easy Way is Always Mined,” Cinekarmakar presents brief films by the artist, conversations with colleagues as well as excerpts from classic films selected by the artist. Shortfilm by Romuald Karmakar, 2011. PALAZZO DEL CINEMA DI VENEZIA, Sala Grande, 14.07.2011, HD-Flip, (c) Pantera Film GmbH 2011. The 2011 footage of the central venue of the Venice Film Festival shows the movie theater PALAZZO DEL CINEMA DI VENEZIA. In this brief film Karmakar captures the scenery of the event, without the “scene.” In 2011 the German filmmaker presented his documentary Die Herde des Herrn (2011) in the festival’s accompanying Orizzonti film series. 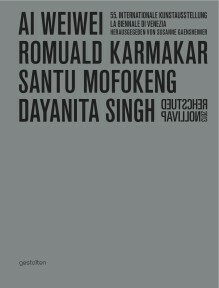 The Radcliffe Institute of Harvard University, Cambridge, MA presented the exhibition of Romuald Karmakar’s work The Influence of Influence from February 4 – 28, 2013. On view were not only early works by the filmmaker but also his most recent films produced during his extended stay in the US in 2012. Karmakar is currently in Cambridge as the David and Roberta Logie Fellow at Harvard University for 2012-2013. The exhibition featured an accompanying program of events with the filmmaker. Santu Mofokeng speaks about his exprience as a photojournalist, his relation to townships and its habitants, his work on the portraits of Black Photoalbum and what the series Chasing Shadows means for him. Santu Mofokeng, Chasing Shadows from peter burchett on Vimeo. In 2011 the Victoria & Albert Museum presented the group exhibition Figures & Fictions: Contemporary South African Photography. As one of the 17 featured photographers, Santu Mofokeng showed black and white images from two series, Child-Headed Households and Chasing Shadows. In an interview with curator Tamar Garb, which was conducted in 2010 in South Africa, Mofokeng talks about his reasons for giving up working as a photojournalist and what role apartheid, the people and history of South Africa, and spirituality play in his work. Mofokeng also addresses questions concerning the impact of a photograph and the sources of its expressive power. 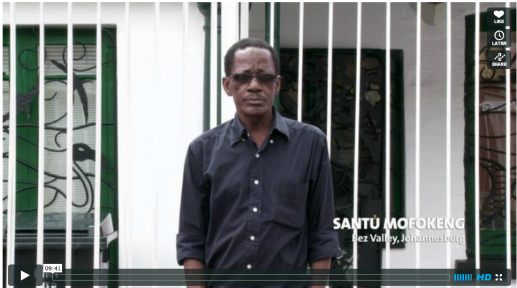 Figures & Fictions: Santu Mofokeng from Victoria and Albert Museum on Vimeo. The video was released in 2011 in conjunction with an interview series by Tamar Garb on the occasion of the exhibition Figures & Fictions: Contemporary South African Photography at the Victoria & Albert Museum. 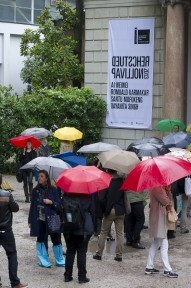 From 4 May to 29 July 2012 the retrospective Chasing Shadows was shown at Kunsthall Antwerpen. Together with the artist, curator Corinne Diseren had selected more than 200 images out of Mofokeng's archives. Chasing Shadows is a co-production between Extra City Kunsthal, Antwerpen, Jeu de Paume, Paris, Kunsthalle Bern and Bergen Kunsthall.